I serve as the church secretary and pastoral staff’s assistant. From office work to church functions, I am constantly busy making sure our place of worship is prepared for the next event. 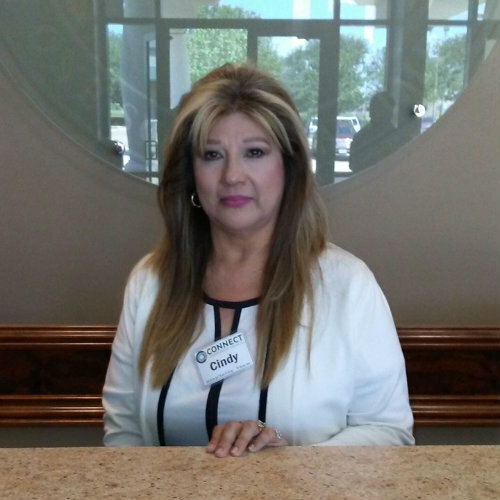 If there is anyway I can assist you with, please do not hesitate to contact me via e-mail at cgarza@connectcommunity.church or call (281) 991-9301 and ask for Cindy. I am a certified lymphoma therapist and wound care specialist. I have three children and three grandchildren that are active here at Connect Community. I love antique shopping and decorating. I am interested in short-term missions trips and how I can make an impact on the world around me for Christ.